Releasing live butterflies for a special occasion like a wedding day or a sweet 16 party has become very popular. If you are considering a live Monarch butterfly release for your next special event there are some things you should ask the butterfly suppliers before you choose who to buy your live Monarch butterflies from. 1) Don’t fall for a “beautiful bouquet" of live butterflies because what this usually means is that you might get a few Monarch butterflies and you will also get many painted lady butterflies, which are much smaller and less hardy fliers than Monarchs. 2) You will want to know if you are going to receive butterflies or chrysalides. Chrysalides are butterflies still in their cocoons and you will be responsible for hatching them. The problem with this is that the hatching process is quite messy and the gooey mess will be seen by your guests. You should also be concerned that some of the chrysalides will not hatch at all. Many butterfly suppliers send their butterflies this way and will try to tell you that this is to ensure that you have a longer time to use them because butterflies don’t live more than a few weeks. In fact, if you request live adult butterflies and for them to arrive within a day or two of your event, you will be much happier with the experience. 3) Find out how the butterflies are going to be shipped to you. Many suppliers ship the butterflies in envelopes made of paper, which are coarse enough to rub the scales from the wings of your butterflies, making it difficult or impossible for them to fly. Look for a supplier that will ship your live butterflies in release boxes or glassine envelopes that are specially made for release butterflies. They will not damage the butterflies at all and will keep them safe right up until you release them into the wild. 4) There are live butterfly kits that you can purchase and raise your own butterflies for the event. This is an inexpensive way to have your butterfly release but there are a few things that you will need to consider. Somebody will have to care for the butterflies from the caterpillar stage through chrysalis and then the metamorphosis into an adult butterfly. While this is a captivating and educational experience, it does take a while, and you can only expect a portion of the butterflies you raise to actually hatch. You will need to purchase extras to make up for the portion that do not survive, and you will need to plan far ahead of the event in order to grow your butterflies, but not too far in advance or they will not live until they are needed for the release. Your timing must be perfect to go this route. You will want to make sure that you are spending your money wisely with a company that has experience in and knows Monarch butterfly care and releases. If you search for a local butterfly breeder you may have some trouble because there just aren’t very many of them. Go online and search for a release butterfly breeder who will ship them to you. Your butterfly release event will go off without a hitch. 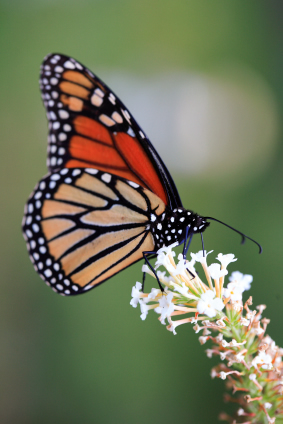 We like Swallowtail Butterfly Farms, who specializes in Live Monarch Butterflies for release. They’ve been breeding and shipping Monarchs for 18 years and have 18 years worth of happy clients. We’ve seen other types of butterflies available elsewhere for purchase for release, but Monarch Butterflies are the largest and hardiest for release at events so are the most recommended.